Boil the ginger and rock sugar in saucepan of water (6-8 cups) for 10 minutes. 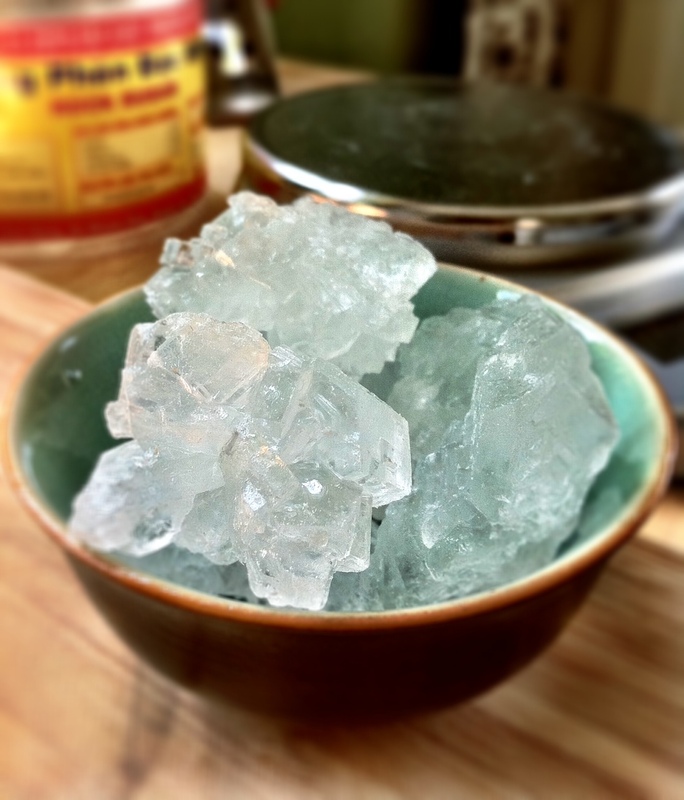 Rock sugar, and it rocks! 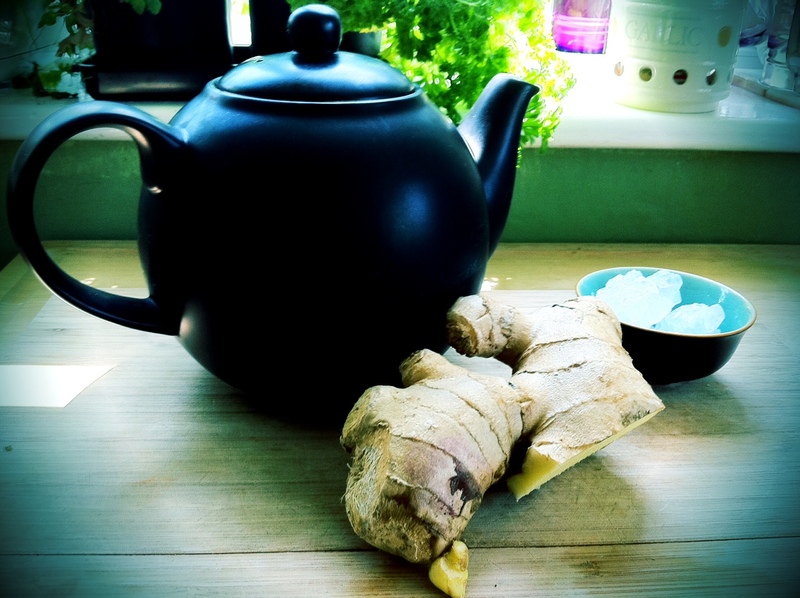 The longer you boil the ginger, the ‘hotter’ your tea will be. It also depends on the potency of the ginger you get your hands on. Older, yellow ginger tends to be hotter so If you just want a weaker tea, try and find young ginger or just boil the ginger for a shorter period of time. If you like your tea sweet, add more rock sugar or sweeten it further with honey. Serve it hot with a squeeze of lemon but if you find the ginger tea too strong, just dilute it with hot water. If you want to make a version you can have with alcohol, make a pot of strong ginger tea and add 100 grams of rock sugar to make it sweeter than normal. Let your ginger tea cool and in a tall glass filled with ice, add a shot of vodka, squeeze of lemon and fill half your glass with the ginger tea topped up with icy cold sparkling water. 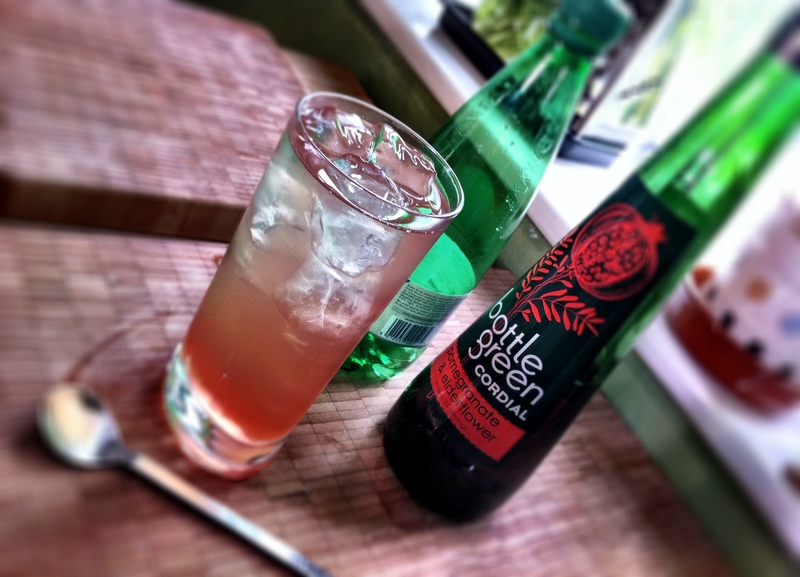 (Saturday, 13 August): We had some strong ginger tea left over which had we’d kept in the fridge and today, we came up with a new concoction – an iced pomegranate and elderflower ginger tea. I’m afraid we didn’t make the elderflower and pomegranate cordial, it’s shop bought so if you can’t get hold of this type of cordial, try a different one and let me know how it works! 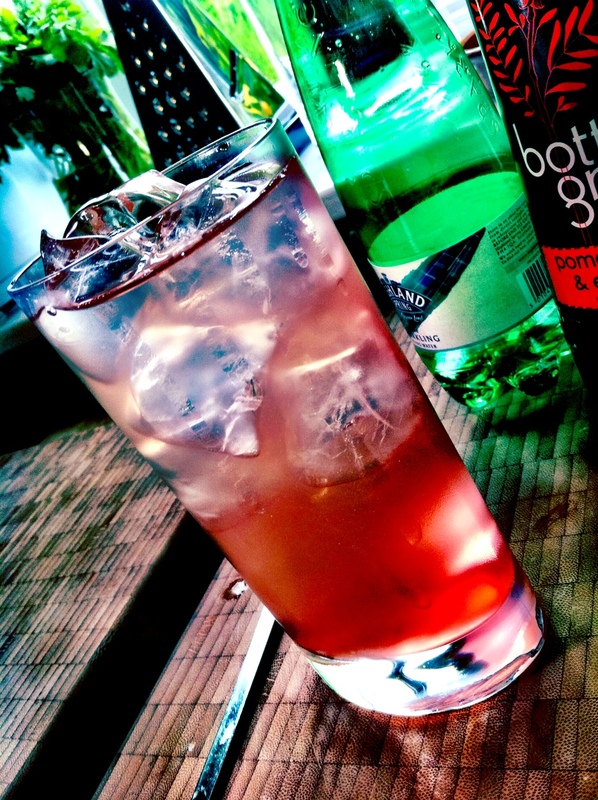 In a tall, ice-filled glass, fill half with your cooled ginger tea and a generous splash of cordial (pomegranate and elderflower cordial), top it with fizzy water and give it a gentle stir.